The Sandusky County Dog Shelter is committed to assisting in the investigation of dog fighting in cooperation with local and state law enforcement officials. Dog fighting is becoming increasingly prevalent and is often associated with the sale and posession of illegal drugs, illegal gambling, and illegal weapons. 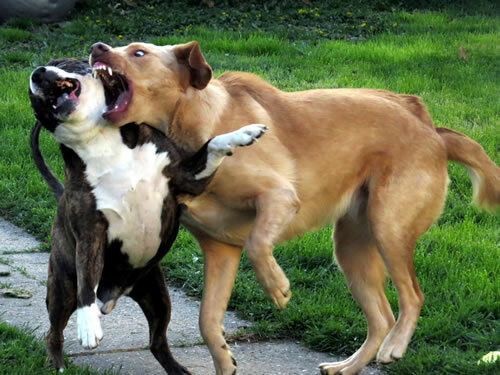 Dog fighters often have a history of violent crimes and violent behavior towards people. Dog fighting poses a significant threat to our communities and as a result the Sandusky County Dog Shelter is determined to provide assistance to local and state law enforcement officials in the investigation and prosecution of dog fighting. In an effort to increase the successful investigation and prosecution of dog fighting the following anonymous online dog fighting tip submission form was created. The form below is provided to individuals who have information regarding dog fighting or suspected dog fighting activities that are occurring in Sandusky County, Ohio. This form provides an entirely anonymous method for the public to submit dog fighting tips to the appropriate law enforcement officials. Remember, we cannot contact you after you submit information so please be thorough and include all relevant information. In addition, as information changes and new information becomes available, please continue to submit new information. You may provide your contact information if you wish so that we may contact you and keep you updated on the outcome of the investigation. Beneficial information consists of names, addresses, and other information pertaining to dog fighters or individuals associated with dog fighting. The location or address of places used for dog fighting purposes or places used to house dogs used in dog fighting. The more information you provide the more likely criminal prosecution will occur. If you have submitted information and the dog fighting is still occurring, chances are investigators need additional information. Please provide as much detail as possible.